It’s amazing how out of touch we’ve become with what we are eating and what the effects are on our health and well being. The research website BioMed Central just published a research report entitled, The weight of nations: an estimation of adult human biomass. 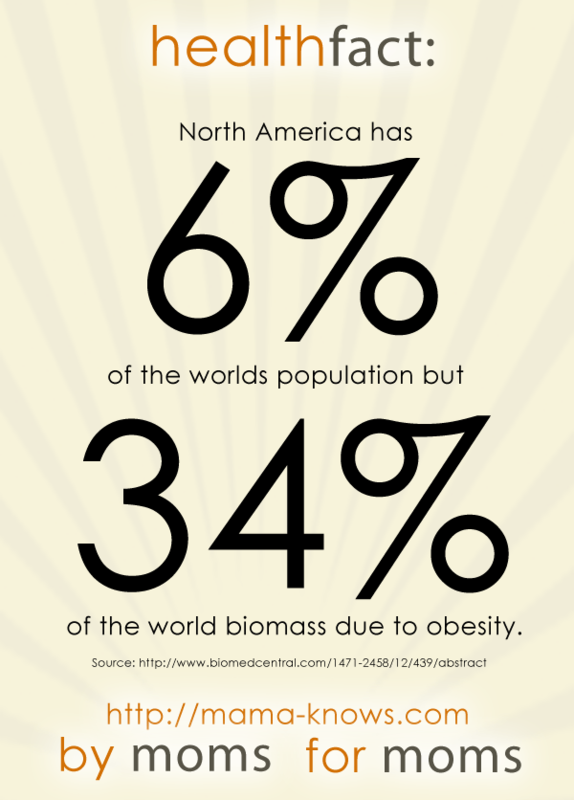 North America has 6% of the world population but 34% of biomass due to obesity. Asia has 61% of the world population but 13% of biomass due to obesity. One tonne of human biomass corresponds to approximately 12 adults in North America and 17 adults in Asia. If all countries had the BMI distribution of the USA, the increase in human biomass of 58 million tonnes would be equivalent in mass to an extra 935 million people of average body mass, and have energy requirements equivalent to that of 473 million adults.